How do I customize my bot’s main menu? 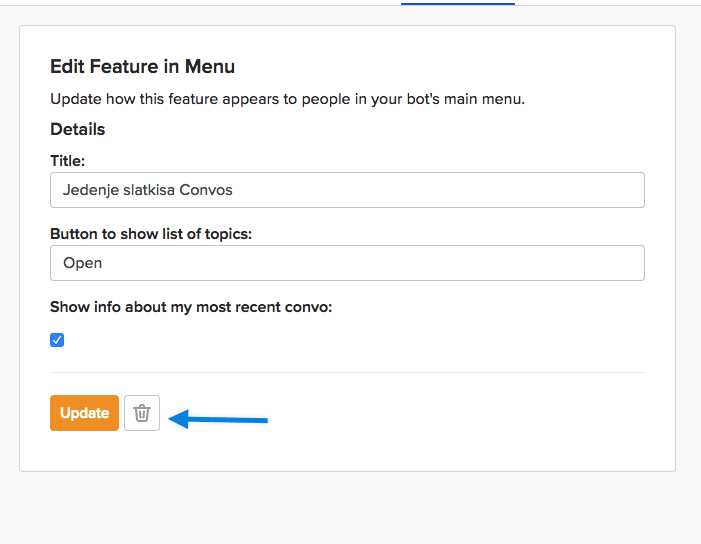 Customize your bot’s menu by adding your selection of features. The main menu shows the features you’ve added to your bot. They appear in the order in which they are added. In Settings, you will find your Bot’s Main Menu, where you can see and access all items that are currently added to your bot. In order to edit and manage one of the items, simply click on Menu item and it will take you to the screen where you can edit how an item is displayed in your Main Menu.